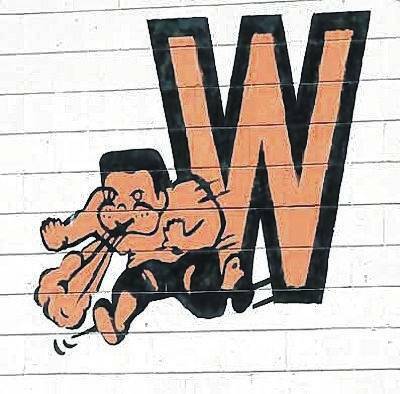 ADAMS TOWNSHIP – Led by Simon Heys, the Wilmington High School boys track and field team outdistanced the field Friday at the Copeland Classic at Clinton-Massie’s Chick Brown Track. Heys won three events – the 1,600-meter run, the 800-meter run and the 3,200-meter run for the Hurricane. With his performance, Heys earned the Chick Brown Award as the top male athlete. Overall, Wilmington had 197 points while runnerup Little Miami finished with 167. Clinton-Massie was third with 128. Other individual firsts for Wilmington were in the shot put (Brett Brooks) and the 400-meter dash (Cam Coomer). The Hurricane also won the 4×800-, 4×100- and 4×400-meter relay events. Alec McDonald won two events for Clinton-Massie – the long jump and the 110-meter hurdles. Seth Schmidt in the discus and Tate Olberding in the high jump also won events for the Falcons.